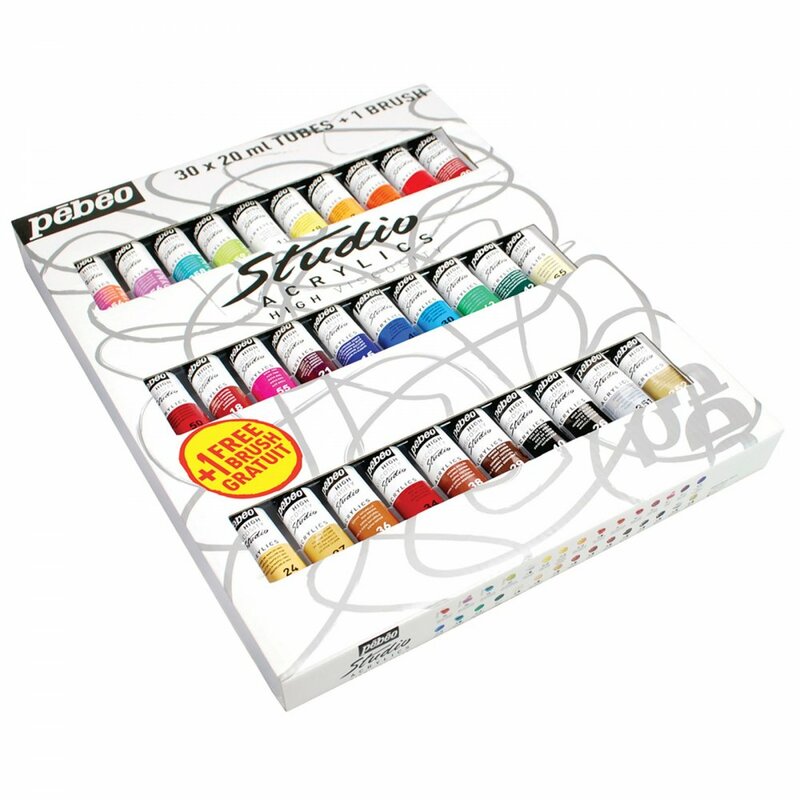 Pebeo Studio Acrylics are satin finish colours developed by specialists to expand creative possibilities and are particularly ; because of the thick consistency the paint retains the brush or painting knife marks. Colours are lively and deep, with a richness of pigmentation, satin matt finish and excellent light fastness. Flexible and indelible once dry, they are suitable for most surfaces including canvas, canvas board, wood and metals. They are easily mixed with each other. Brushes can be cleaned with water. Touch dry in 30 minutes to 1 hour and thoroughly dry between 1 and 8 days depending on thickness.